Whether you are rushing to your holiday destination during the summer months, navigating the airport run or dealing with black ice in the winter, the country’s roads can pose a range of challenging hazards that we all have to negotiate on a regular basis. One of the main causes of traffic accidents in England (and globally) are tailgaters, causing headaches and problems beyond the initial 10 minutes of annoyance and a warning tap on the brakes! 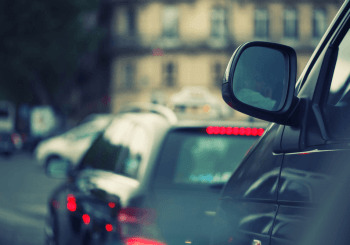 The Highways Agency have recently revealed the leading black-spots on England’s roads that constantly cause tailgating issues for drivers, a habit considered one of the most dangerous and catalyst of avoidable accidents. Painstakingly analysing over 6000 motorway stretches across England, data indicated that those who are younger behind the wheel have a greater likelihood of causing an accident through tailgating, with over a third of collisions caused by those under the age of 30. Tailgating is primarily caused when drivers fail to leave a safe two second gap between their vehicle and the one in front, with too little time provided for reactive braking. Nearly 50% of vehicles monitored during the month long study were found to be driving too close to those in front, leaving less than 65 yards between vehicles. Staggeringly, nearly 20% of vehicles were failing to leave at least a second between vehicles. Topping the table as the most hazardous stretch of road for prolific tailgaters was a stretch of M1 near Leeds, more accurately the south-bound carriageway between the A1M and junction 47. The most popular road for tailgating was the M42, featuring 4 times within the top ten. Often the outcome of rushing, frustration or anxiety relating to keeping up with the traffic flow, tailgating causes up to 1700 annual injuries and around 5 fatalities. · Leave plenty of time for your journey, don’t rush to save minutes or seconds. · Change lanes to allow a tailgater to pass, remember to keep a healthy speed on motorways as to not break the law but avoid hold up traffic behind. · In bad weather it’s best to leave double distance between yourself and the vehicle in front. Poor weather can increase stopping distances through decreasing tire traction.